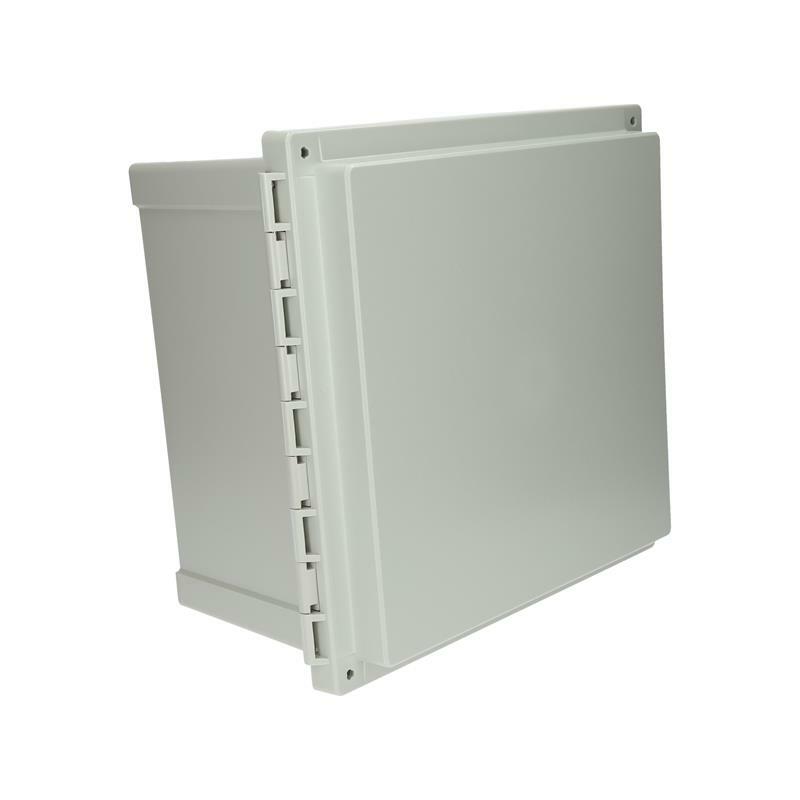 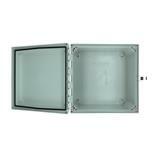 The wall mounted enclosure AR10106CHSSL - 8561112 from FIBOX Inc. with the dimensions 10x10x6in (HxWxD) is the cost-effective and light weight alternative to common wall mounted steel cabinets. 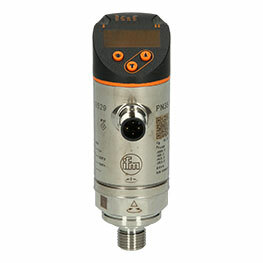 The enclosure features 2 lockable stainless steel latches and a hinge on the long side. 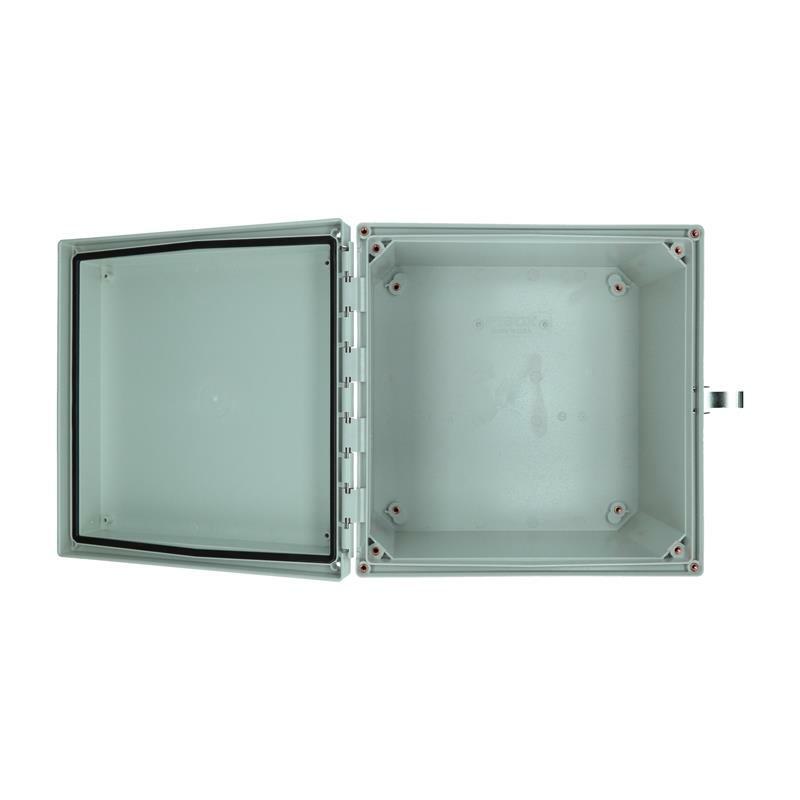 The robust ARCA-JIC series made of polycarbonate is characterised by its UL listed NEMA 4X rating. 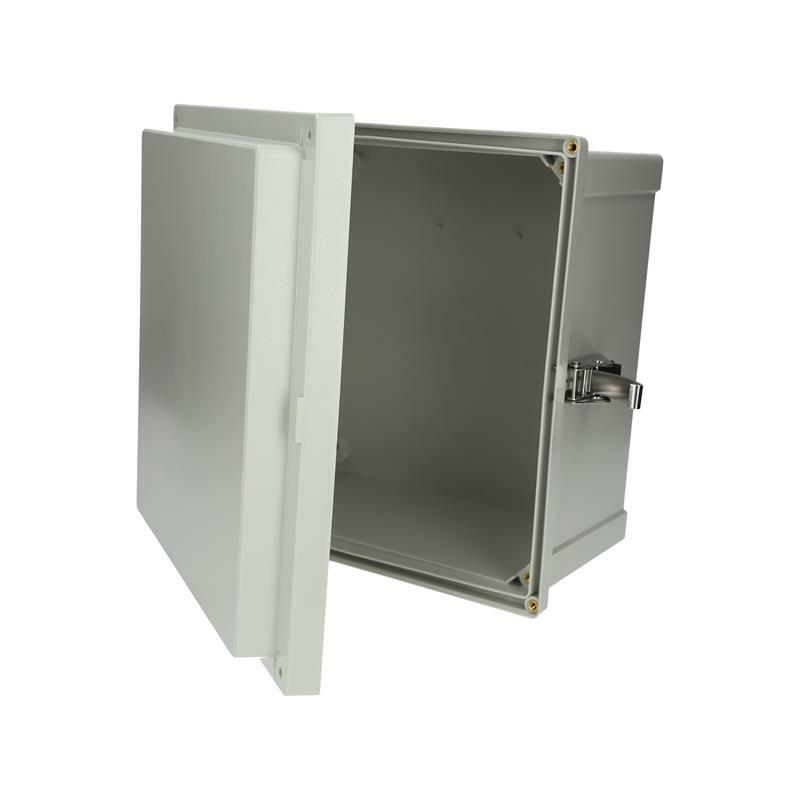 Included with the AR10106CHSSL - 8561112 are hinged cover base with 10-32 brass inserts, latched cover with formed in place PUR gasket, stainless hinge pin, enclosure mounting foot kit, and 10-32 mounting screws. 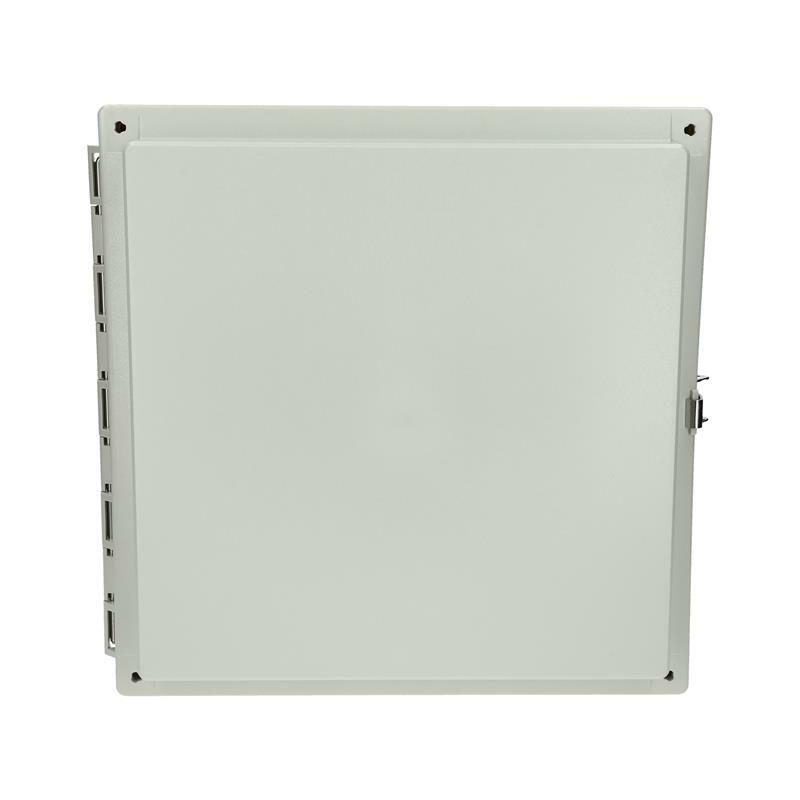 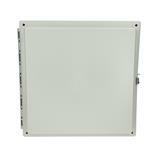 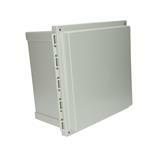 The wide continuous temperature range of -40 to 175 °F allows the wall mounted enclosure to be used in many applications.